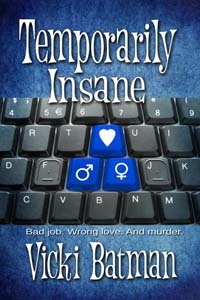 Vicki has appeared on the Romance Lives Forever blog 15 times since 2013 as an individual author and twice as part of an anthology. 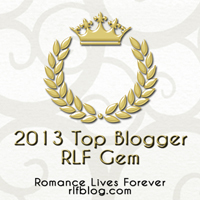 She has been an RLF Gem multiple times and in 2013 was the number one blogger twice. The position is chosen by the amount of visits the author's post receives. I'm proud to present Vicki with the 2013 RLF Gem Award. Others who won monthly top blogger awards in 2013 were Elle James, Delilah Devlin, John Steiner, Susan Taylor, Boroughs Publishing, Liquid Silver Books, and JMS Books. Like some of her characters, award-winning author Vicki Batman has worked a wide variety of jobs including lifeguard, ride attendant at an amusement park; a hardware store, department store, book store, antique store clerk; administrative assistant in an international real estate firm; and a general "do anything gal" at a financial services firm--the list is endless. Coming next Saturday...Top Blogger for 2014. Come back and see who it is! Visit the new blog - still under construction: RLFblog. Since the hashtag is #RLFblog, that's the url for the new site. It will keep the name Romance Lives Forever. And smooches back to you, Kayelle, for hosting me. Thank you so much. I love visiting Romance Lives Forever. I'll be back in June.